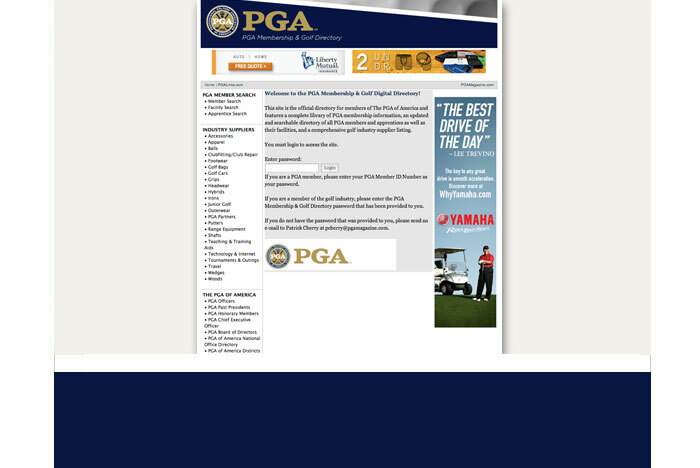 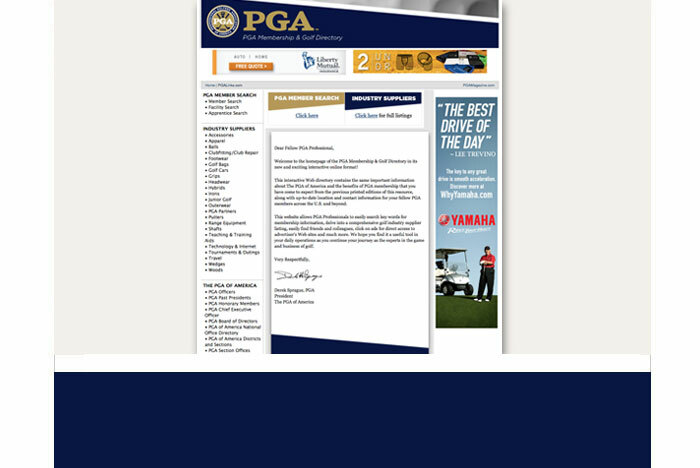 Password protected for members of The PGA of America and golf industry insiders– accessible through PGA.org and PGAmagazine.com. 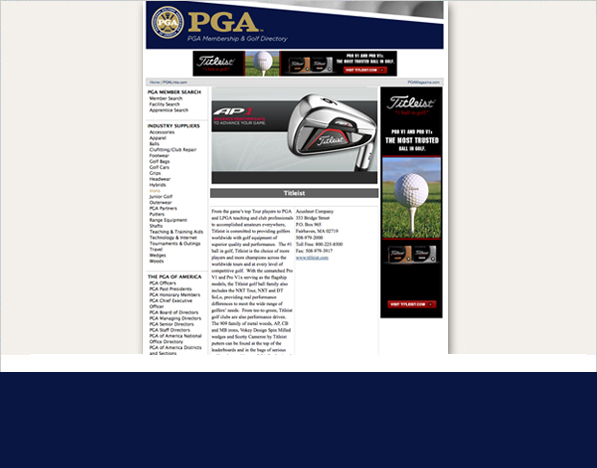 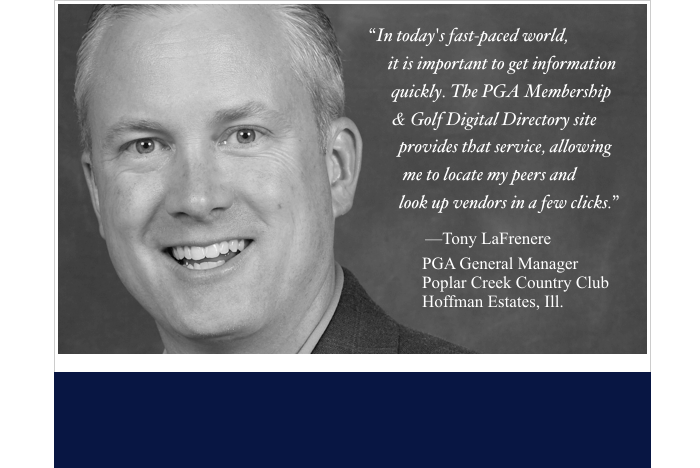 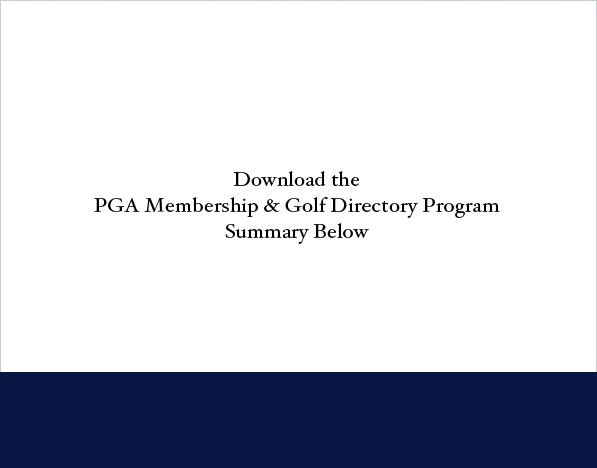 The official digital directory of The PGA of America receives 22,028 total visits of which 9,686 are unique over a twelve-week period. 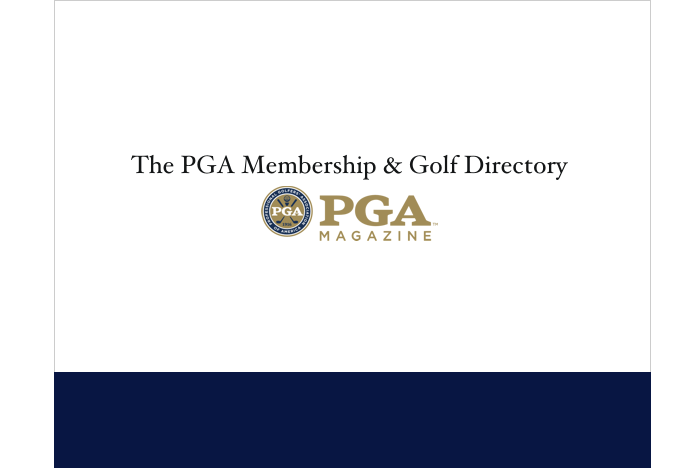 Complete, official and interactive PGA of America national, regional and section leadership and department lists, member benefits and programs. 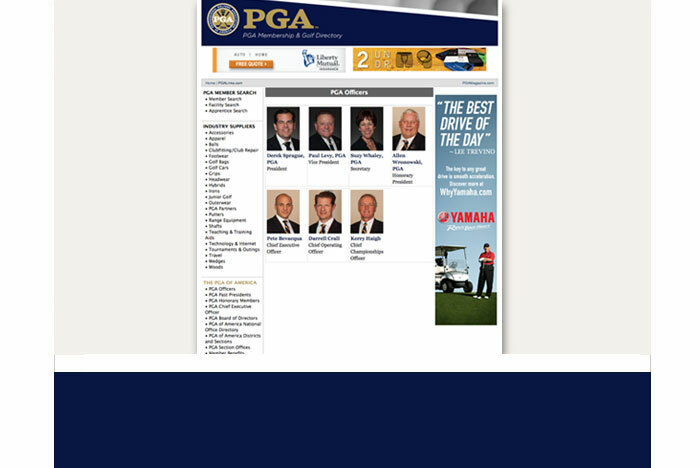 Industry Suppliers database provides comprehensive listings for companies (including video, slide shows, sales reps contact, pdf catalogs, and more) in 23 categories. 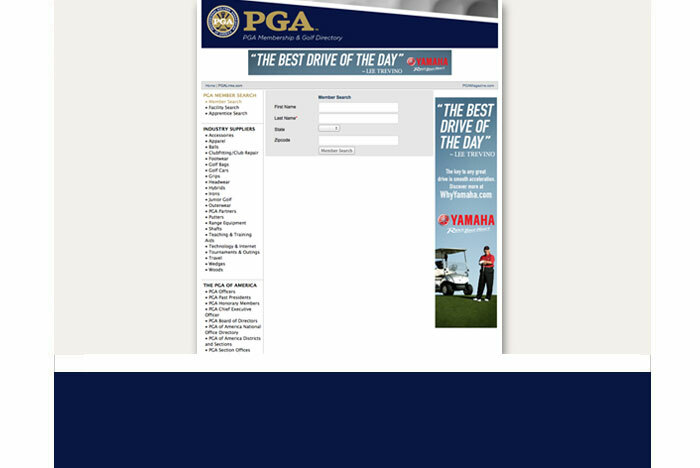 The search pages receive 73,305 total page views of which 26,345 are unique over a twelve-week period.